I have said this countless times, but I need to say it again, I LOVE my job! 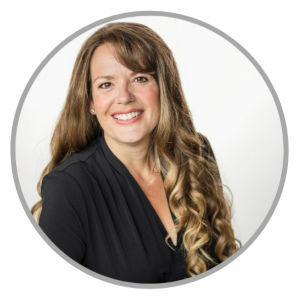 What I LOVE best about what I do, is that I am honoured to be able to make a difference – a life-changing difference – in people’s lives by offering natural cleaning products that work as an Norwex Independent Sales Consultant. Let me share what I mean… I recently met a new Norwex customer, a fitness instructor in the greater Edmonton area… this is what happened. Delores gave me a bottle of the Descaler spray with a double-sided Bathroom Scrub Mitt as well as a container of the Cleaning Paste and SpiriSponge for my kitchen. The first round in my shower left my glass clear but with some water stains, so I did a second round right away! My stove was also an instant revolution of clean! You all have no idea how embarrassed I am that people have come over and seen my ‘clean’ house … These pictures are my results!! I am absolutely disgusted with the store bought products I have been using as long as I have owned my house (almost 9 years). Norwex is going to be replacing EVERYTHING I have, cleaner wise, in my house. It smells great, feels fantastic and clearly WORKS! It doesn’t get any better than this!!!! I love finding new customers and help change their life for the better. 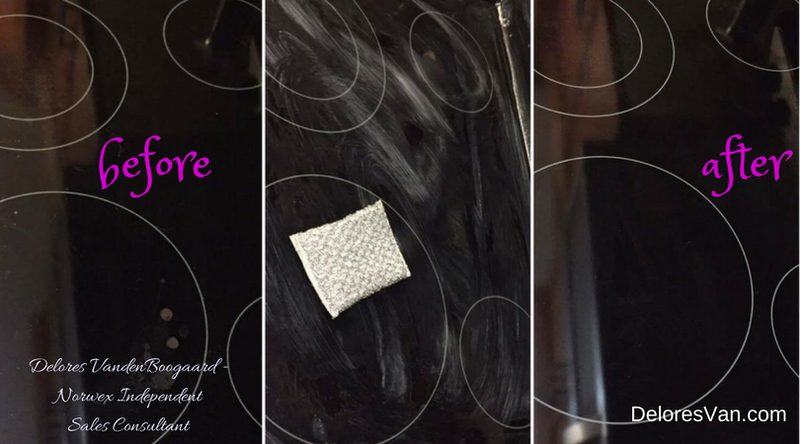 Let me describe some of the products my new customer used and LOVED! 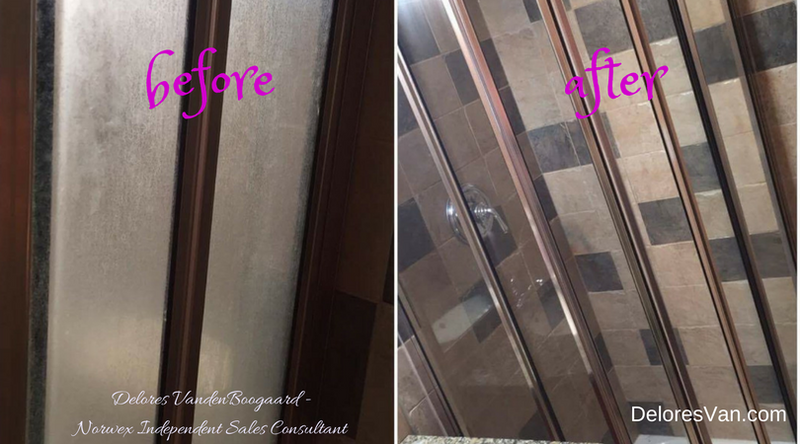 Descaler & Bathroom Scrub Mitt – The best way to remove “frosted glass” from your shower doors! This natural descaler works to remove hard-water stains, soap scum, rust stains, mineral stains etc. It’s power comes from natural Glucuronic Acid coupled with Organic Orange Peel Extract and Sodium Gluconate to clean. Simple spray on the surface, let sit for 5 minutes, wipe off with scrub mitt, rinse clean. 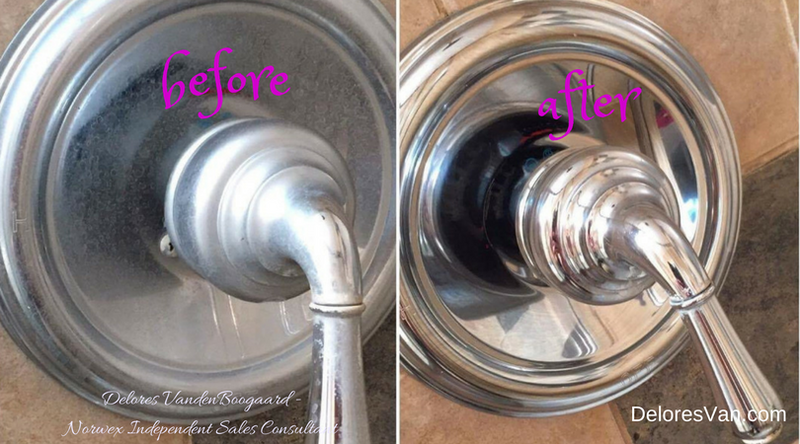 Cleaning Paste & SpiriSponge – It is “elbow grease in a jar.” Together with a SpiriSponge, this natural paste cleaned the burnt on food off her stove top, leaving it shiny – like new. The Cleaning Paste has only 3 active ingredients, including; Marble Flour, Natural Soap & traces of Coconut Oil. From stove top, to stainless steel kitchen sink, to bathtubs, to lawn furniture, this long-lasting paste is versatile and effective for most surfaces in your home. I LOVE living vicariously through others as they discover Norwex for the first time!!! Honestly, people FREAK out about how amazing it is… it is not like products in the supermarket, they actually work, they don’t use chemicals, they save time, they are eco-friendly, and they do a superior job. Norwex is worth FREAKING OUT about! It gives me such joy knowing that I can help people find solutions to real-life issues with clean, chemical-free products. Educating people about Norwex never gets old… I LOVE watching people understand Norwex’s products and get excited about the possibility they bring. I always feel so thankful for the opportunity to educate and teach people about Norwex… I believe it does have the power to change the world, one home at a time. If this sounds like something that would bring you JOY, and you are interesting in joining my team as a consultant or are interested in hosting a Norwex party, contact me.